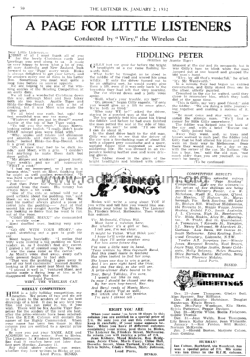 The magazine had many features, including constructional articles for receivers, crystal sets, antennas, amplifiers, adverts for Melbourne company’s selling radio and electrical equipment, ads for medicines, books for home mechanics and a page for Little Listeners conducted by “Wiry” the wireless Cat. A shortwave section was introduced in the early 1940s. 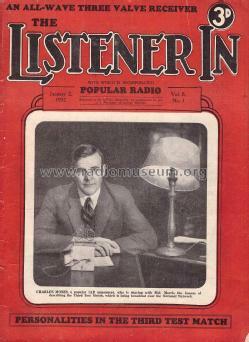 The "Listener-In" ceased publication in 1955. (thanks to Gary Covans for input).